Known as "the BEST Street in Reading," this custom col is 1 of a kind, & is an opp of a life-time for those craving a location that is actually worthy of such an amazing home. In a neighborhood where each one compliments the others, this most attractive home sits perfectly at the END of this beaut st., & is virtually surrounded by acres of privacy. A columned porch greets you 2 ways...either formally to a grand two story foyer, or casually via a spacious mudroom w/ ample closet, gar access, bath & laundry. Rich, walnut stained hardwoods are found thru-out, adding to the elegance of incredible 4 paneled doors, crown moldings, wainscoting, built-ins, butlers pantry, a second staircase, & a "furniture like" walk-in pantry. The massive kit is just BEYOND words, w/ no detail overlooked...the BEST of everything is found here! Upstairs, retire to a master-suite, complete w/ a sitting area w/gas FP, magnificent bath, and a 6X17 walk-in. There's even walk-up attic & finishable walk-out bsmnt! 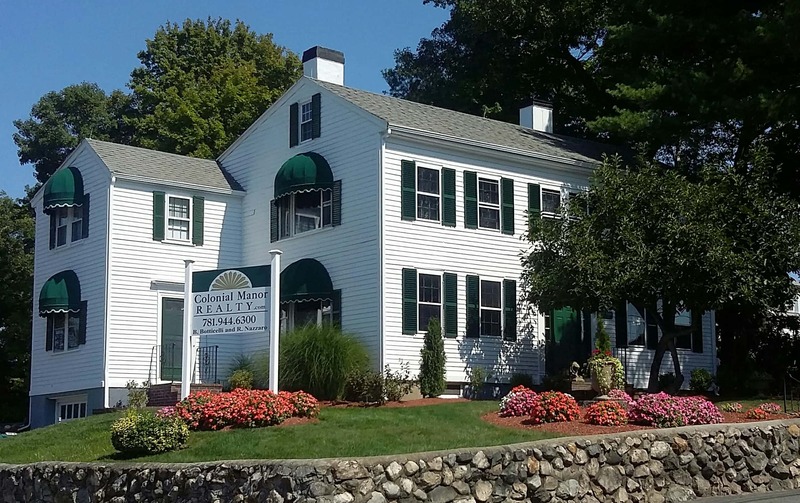 Located close to the Middlesex Fells Reservation with its acres of hiking and biking trails, and easy access to Routes, 93, 95 and Boston this colonial is a must see! This lovely home boasts a Palladian window in the entry, living room with hardwood, dining room with wainscoting, family room with crown molding and hardwood. The open concept kitchen, boasting natural cherry cabinets and granite countertops, and adjoining Great room with cathedral ceiling and gas fireplace, are perfect for all your entertaining needs. A half bath completes level one. The second level master suite features an ensuite bath with jetted tub and double sinks, dual walk-in closets, hardwood floors, tray ceiling, and fireplace. Three additional bedrooms with hardwood, and second full tiled bath complete this floor. The large lower level awaits your creative touch. Mature plantings circle the property. Features: Large deck, fenced yard, CVAC,2 car garage, Muraco School District. You can Always expect Unparalleled and Exceptional Quality when built by MBA Builders. This home was Designed by HOUZZ AWARD WINNING Tektoniks Architects ....STILL TIME TO CUSTOMIZE! Sophisticated 4 bedroom, 2 full 1 half baths with beautiful designer custom finishes such as crown moldings and wainscoting located on an AMAZING WOODED PRIVATE LOT. First floor features large custom kitchen open to family room with gas fireplace, dining room, office, and half bath. Second floor boasts a luxurious Master Suite with walk in closets. Continuing on the second floor you will find 3 more generous bedrooms, a family bath and laundry room. Plans in hand for additional 550sf+ finished over garage. Please do not walk construction site without listing agent. The enviable address you've been waiting for. Premier West Side location, toward the dead-end, this stunning home has been transformed into something incredibly special & unique. Original character & charm blend flawlessly with thoughtful additions, & attention to detail. The kitchen will take your breath away...Every high-end finish you can imagine is here, including custom cabinetry, Thermador GAS stove, Sub Zero Refrig, farm style sink, & sun-filled windowed dining area. The FR offers 3 sides of gorgeous windows & a wall of built-ins. French doors, corner hutches, & hardwoods throughout gently remind you of a time gone by. Beautifully undated baths include a spa-like marble master with soaking tub & over-sized shower. An open transition from the kitchen leads to a play room with gas fireplace, more built-ins, raised panel wainscoting, & a slider to the incredible back yard with SALT WATER POOL. The "garage" doubles as a 'SPORTS BAR' with dedicated heat & a/c. So much to see! HURRY! You've watched w/ breathless anticipation, & here it is!! The meticulous, thoughtful, & detailed restoration/renovation of this grand West Side Queen-Anne-Colonial Revivial is complete, & done to perfection w/the highest quality materials & w/the highest level of standards. Beyond breath-taking at every turn. From the AMAZING front wrap-around porch, the palatial fireplaced foyer, grand staircase, numerous stained glass windows, incredible wood work, pocket doors, back staircase & other original rich detail, to the new chefs kitchen w/the most stunning butlers pantry you'll ever see, new family rm addition ,& 3.5 GORGEOUS new baths, you will be BLOWN AWAY! With all new systems including plumbing, heat, CENTRAL AIR, & hot water, this home is the MASTERFUL blend of old & NEW. The finished 3rd fl is ideal for the private master suite, au-pair space, or multi-roomed home office. The second fl provides another MBR option w/a beautiful FP & a HIGH-END marble bath just steps away. A dream!! Rarely, if ever does a house like this come along. Even the most discriminating of buyers with an eye for detail, and a taste for perfection will marvel in this masterfully designed, crafted, & maintained home. Young families, mature buyers, & those seeking special accessibility (as there's even an elevator & subtle ramps) will appreciate this custom masterpiece. Elegant, yet totally livable and not "fussy," the grand scale kitchen with only the best (like a NEW 6 burner THERMADOR gas cook-top), opens to a GREAT, great room complete with stunning windows, cathedral ceiling, natural stone fireplace, & beautiful built-ins. The comfortable dining area leads to a spectacular deck which cascades down to the MOST INCREDIBLE YARD & IN-GROUND HEATED POOL you will ever see! Just amazing!! The FIRST FLOOR MASTER BEDROOM is fit for royalty with its en suite 4 star hotel like bath. 3 more wonderful bedrooms and a sitting room are upstairs, while the LL is beautifully finished. BEYOND SPECTACULAR!! From its beautiful curb appeal to it's country club pooled back yard , you'll love the peace and quiet offered with this very large center entrance Colonial in a top notch neighborhood. The bright foyer is flanked by charming living and spacious dining room on one side and office/den on the other side .Invite your guests into the large kitchen abutting a huge fireplaced family room overlooking the private grounds and yard. A wondeful 3 season porch offers not only bug free entertainment in summer but also a great hideaway when you crave private time. A stroll up the curved staircase brings you to a delightful second floor landing and four generous bedrooms .A bright finished lower level complete with bath and garage access featuring garage tech custom flooring,...air filtration system completes this much loved 1 owner custom beauty. For the discriminating buyers who aren't looking for a "Cookie Cutter Home", you'll want to view this beauty. Listed as a contemporary cape, it also has a floor plan that allows you to use it as a ranch with master suite on first floor. The expansive finished walk out lower level lends itself to a perfect future in/law. From the beautiful nbhd & large level lot to the openess of the interior you'll feel as if you're on vacation. Vaulted ceilings, interior balcony,skylites, multiple walk in closets and storage galore incl. walk in linen , first floor private office and multiple sets of French & pocket doors are a few more " have to haves". The master bedroom has it's own private deck ,a bath with whirlpool style tub and not only a walk in closet but an additional closet . Hurry, plenty of time to enjoy the holidays.Showings begin at O.H.Sunday 11-12:30. Young, stunning, & majestically set way off the street on a 1.6 acre lot. Enjoy wooded views & open space from almost every window...like being on vacation year-round. As you enter, you'll be in love with the bright & welcoming two story grand foyer. From here, the flow is ideal for every-day family living, or grand, yet comfortable entertaining. A formal DR, & an inviting LR flank each side of the entry, while the open concept massive kitchen & FR run along the entire back of the house. The kitchen is so beautiful, with finishes you will adore, including a 4-5 seat island, plus additional seating at the breakfast bar, & still room for a large scale kitchen table. A wet bar is the perfect touch for holiday parties. The adjoining FR offers wonderful built-ins, plenty of light, & a marble, gas fireplace. Upstairs provides a master suite second to none...you won't be able to wait till days end!! The newly finished LL is incredible, offering a MUD ROOM, gym, media room, & full bath. WOW! Landmark Estate for sale. Entertain your family, friends and guests in Style! Live Large in this most rare Federal Style home! Seven bedrooms and 4.5 baths make up this expansive 18 room home on 4 living levels & close to an acre in much coveted West Side. Appointed beautifully with top of the line kitchen, wonderful moldings and authentic, charming details. Inclusive of massive 3,000+ square foot pool house with kitchen, new full bath, hot tub, and steam room surrounded by newly carpeted, entertaining area. Once-in-a-lifetime opportunity to own arguably, one of the finest and most unique residences in town. Dreaming of a brick home, a grand foyer, soaring ceilings , mansion size living room and dining rooms, fabulous cook's kitchen custom fireplace surround,wainscoting , dentil molding and 9 - 10 foot ceilings are not common features readily found. The 42 ft deck , which is accessed from master bedroom, kitchen and family room, makes for grand outdoor entertaining. The large yard has recently been cleared and is ready for spring seeding. The huge unfinished walkout basement is perfect for a complete inlaw with access from garage. With a freshly painted interior of soothing tones...this beauty awaits your pleasure.